We’re looking for most adorable dogs and cats and turtles (oh my!) in Dallas. That’s right: this isn’t just for the puppies and the kitties. We want to see all your pets! Fill out this quick form and then on May 7, we’ll launch a page that will allow D readers to vote on which pet they think is cutest. So from meow to wow, woof to oof—let’s give our pets the spotlight they deserve! A professional photo shoot with a D Magazine photographer. That photo will run as a full page in an upcoming D Magazine issue. An Instagram post on D Magazine’s Instagram, broadcast to more than 128,000 followers. Contest entries are $35. Only one pet per entry. 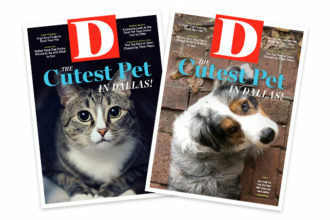 A portion of the proceeds will benefit Humane Society of Dallas. 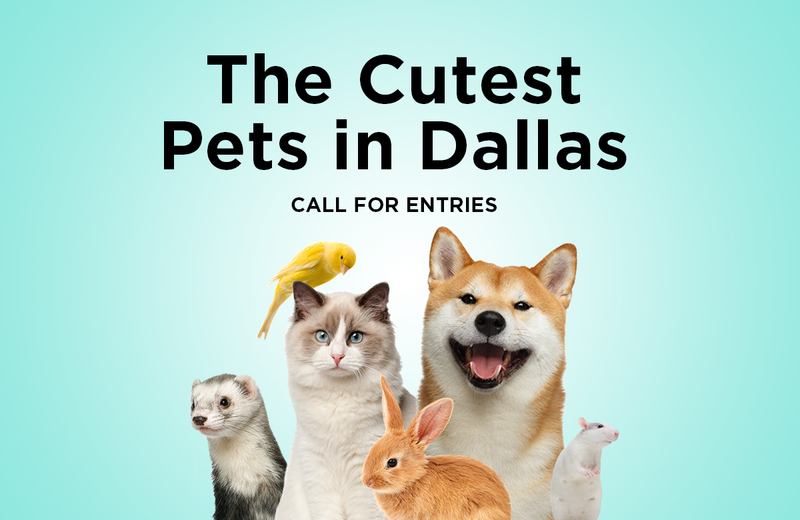 Submissions for the Cutest Pets in Dallas Contest has ended.